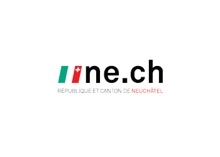 The Swiss Government considers supporting the creation of new enterprises a top priority and offers made-to-measure advantages to help them be more efficient and strengthen their business relations. From bench to market, BioAlps provides the opportunities, networks and access to expertise to ensure that the rich and dense industrial landscape is useful to newcomers and existing players alike. A major advantage is that all the different players are within easy reach. The density of companies in the cluster provides an interesting variety of experience and expertise. The cluster is host to a high number of well-respected industrial firms, multinational corporations and successful small companies. For the full range of companies, please visit our BioAlps community. Whatever is needed in life sciences can be found in the community: pharmaceuticals, biotechnology, medical device, digital health, diagnostics, nanotechnology and proteomics. As part of the Swiss Government’s commitment to promote innovation and strengthen the economy, the different economic promotion offices offer a wide choice of support opportunities. 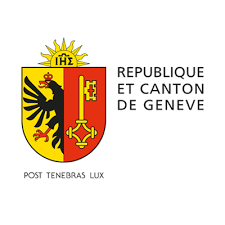 Other state organisms offer regional support such as the Greater Geneva Bern area (GGBa) which is the economic development agency representing six Cantons of Western Switzerland: Bern, Fribourg, Vaud, Neuchâtel, Geneva and Valais. Its primary mission is to support foreign-based companies looking to establish business operations in western Switzerland. The success that many multinationals and SMEs in the BioAlps community encounter is measured in part by their ability to export their products and services and expand the business internationally. The BioAlps community offers a range of services to promote exports and internationalization.